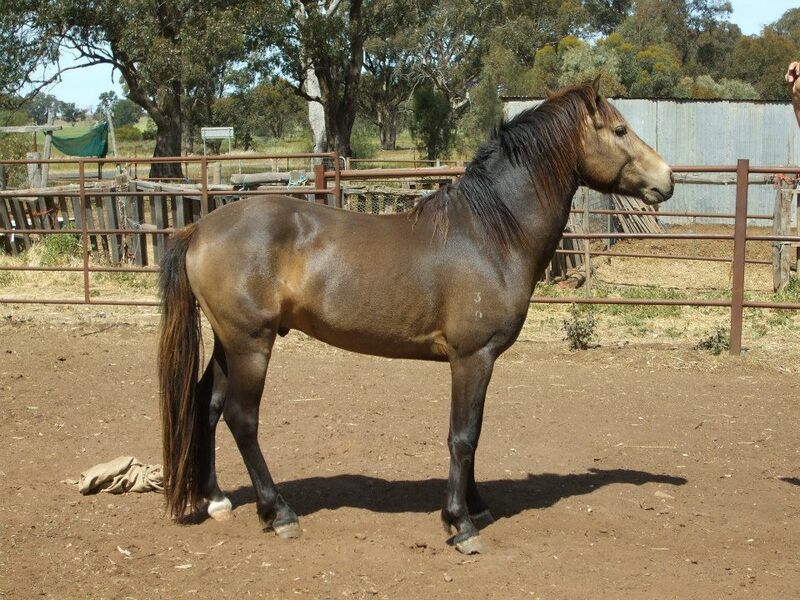 Dark Buckskin. This fellow has an outstanding kind and sweet nature that cannot be faulted. He is now officially withdrawn from sale and will be moved to the Morven property in due time where he will live the remainder of his stud life. Approx 13.2h. His dam, Itsa Shamrock Star Attraction, is a half sister to Lugano Queen of the Fairies (one of our foundation Connemara mares) through Blandings Biscuit. We would like to retain these special bloodlines in our stud so Shenanigans will start getting to know a few girls very soon. 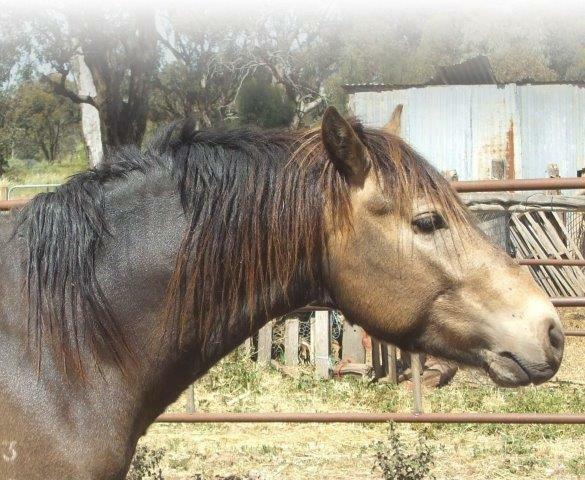 He has some rare bloodlines in Australia with a pedigree that contains no Abbeyleix Finbar, no Castle Baron and no Domo Cavallo Praize. You will however find Oxenholm Gideon in his pedigree, and Glenormiston Rossmore (who is full brother of Glenormiston Oliver). He is going to be a big attribute to maintaining the genetic diversity in the Australian Connemara herd.